The company is also prepping 4K mini displays for the next wave of VR. Flexible displays are nothing new. However, most of them don't live up to the dreams of flexible tech -- they may only bend in a limited way. Samsung thinks it can do better. It just unveiled a 9.1-inch prototype OLED display that's stretchable in seemingly every way imaginable: you can bend, roll and even dent it (up to half an inch deep) knowing that it'll revert to its original form. The technology is still very young, but Samsung believes the stretchy screen will be useful for everything from wearables to in-car displays. Imagine a very thin smartwatch that can take some knocks without smashing into pieces. That's not the only trick Samsung has up its sleeve, either. It's showing off a 1.96-inch 4K LCD whose ridiculously high 2,250 pixels per inch density would be ideal for virtual reality. You might not notice the distracting "screen door" effect (where you can see the gaps between pixels) common to VR headsets. There's again no roadmap, but it's just as well when even PC-based VR still requires a fairly speedy computer. It could be a while before enough people have PCs that can handle this extra-high resolution at the frame rates you need for smooth VR. 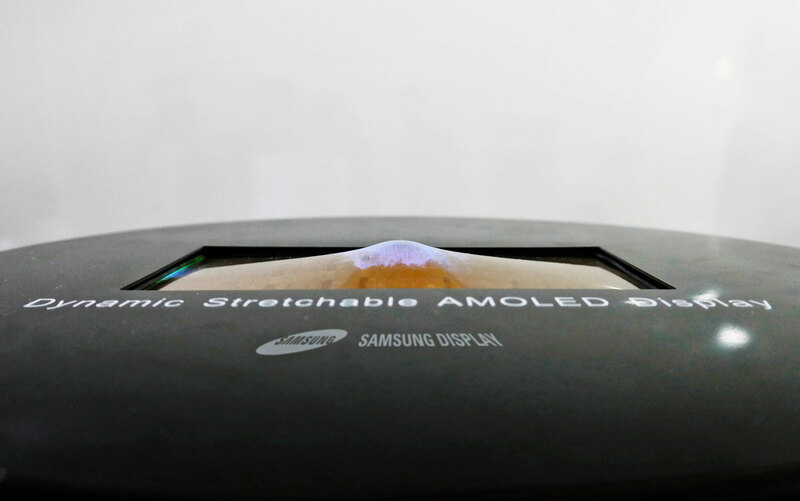 To top it all off, Samsung is also exhibiting a 5.09-inch OLED with "glassless" stereoscopic 3D -- yes, it's still kicking around the concept despite the decline of 3D technology. 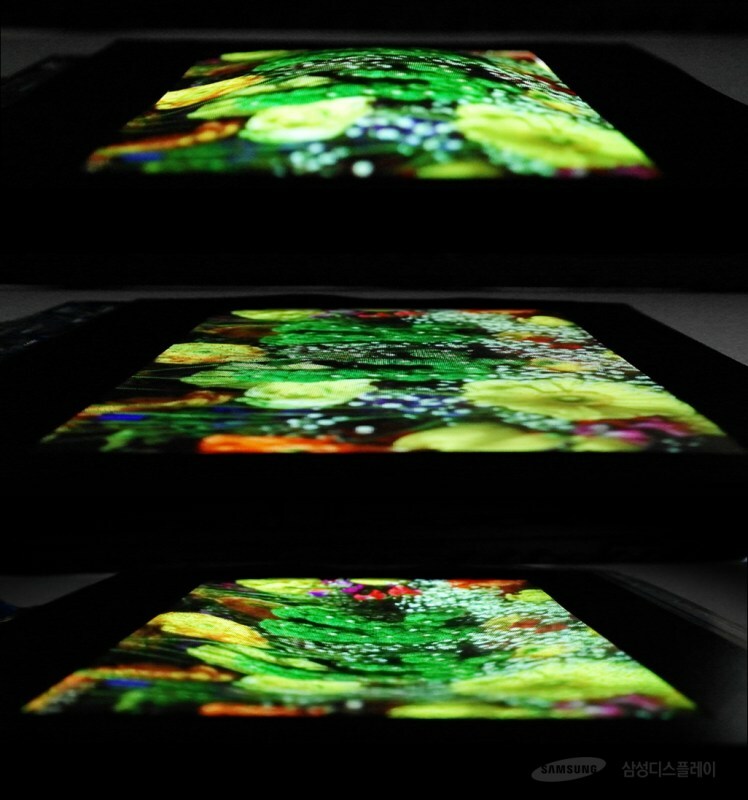 The use of OLED should offer more natural-looking results than an LCD, Samsung says. There is the risk of a panel being used for gimmickry (Samsung talks about games and pop-up books), but it could also add depth to VR experiences.